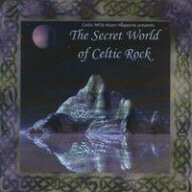 The Secret World of Celtic Rock pays tribute to the incredible sub-genre of Celtic music called "Celtic Rock". With well over an hour of great music, this CD is packed full of some of the best independent Celtic Rock groups around the world, and 100% of the profits of this album benefit The Celtic Cultural Center. The Celtic MP3s Music Magazine is a free Celtic music ezine dedicated to promoting all-styles of Celtic music.